Asahi Beverages is one of the leading beverage companies in Australia and New Zealand. With a rich and varied history, Asahi Beverages markets quality alcohol and non-alcohol beverages, boasting a strong portfolio of established household brands and innovative, new-to-market products. Asahi Beverages is a member of Asahi Group Holdings, one of Japan’s leading beverage companies, and comprises of some of Australia and New Zealand's most successful beverage businesses, including Schweppes Australia, Asahi Premium Beverages, Independent Liquor and The Better Drinks Co.
On the back of an innovation strategy workshop, Asahi wanted to start developing quick wins and case studies it could use internally to build buy-in and momentum for its innovation program and upskill key stakeholders in some of the fundamentals of innovation. Collective Campus tailored a one-day hackathon for Asahi with the sole purpose of quickly and effectively building prototypes and performing customer testing for new ideas. 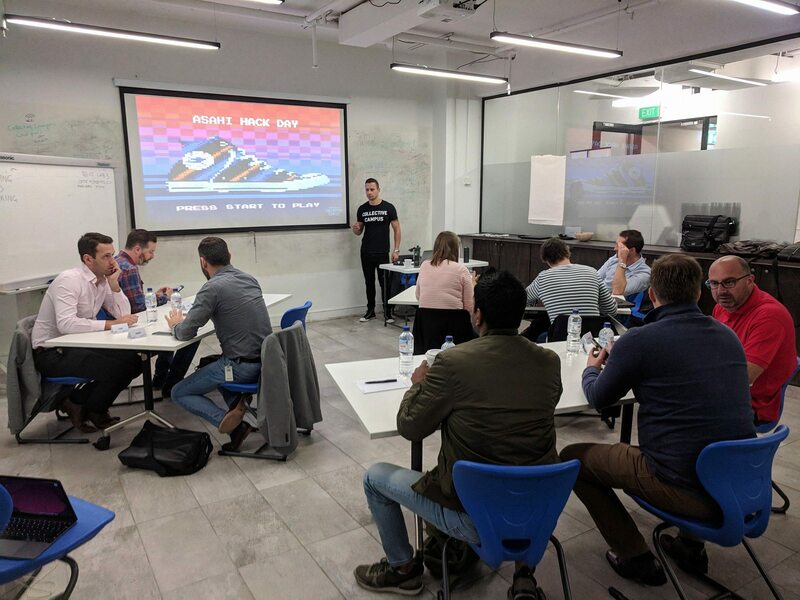 CC also provided participants with some ideation tools and thought leadership prior to the hack day so that they could hit the ground running on the day.